Samsung has been pounding us with so many devices that look so identical to each other that it has almost become impossible to keep up. 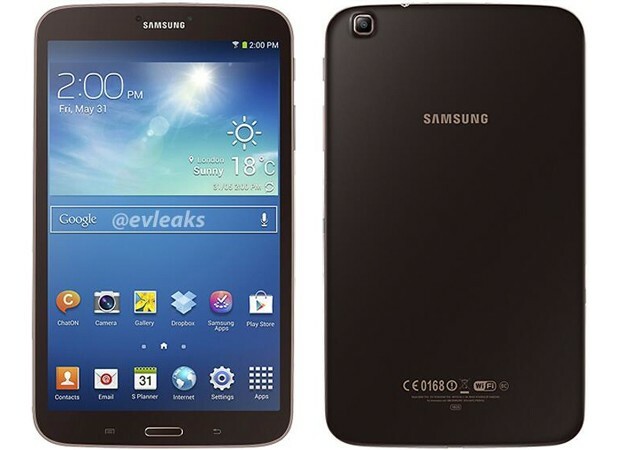 The Korean portability giant is expected to launch two new Galaxy Tabs for its third year cycle called the Galaxy Tab 3 7.0 and Galaxy Tab 3 8.0. While the design remains almost identical to recent launches by the company, the matte back with a golden brow finish may be a big welcome. 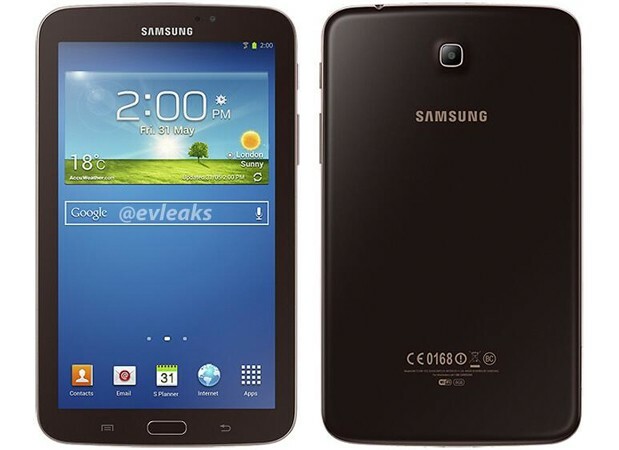 The leak on the 8.0 inch Galaxy Tab 3 shows a Samsung Galaxy S4 sort of UI, so expect HD display, and Android 4.2 where as the 7.0 could possibly be running 4.1 Jelly bean. No details on any of the hardware just as yet, but stay tuned for updates.